The main worry for lots of people who want to buy a new iPhone or Android phone is how to transfer data such as photos, videos, contacts, etc. between Android and iPhone. 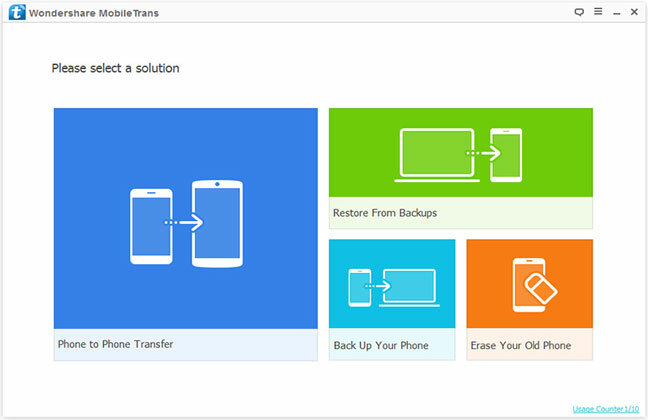 Here we provide a number of ways to transfer content when switching phones. 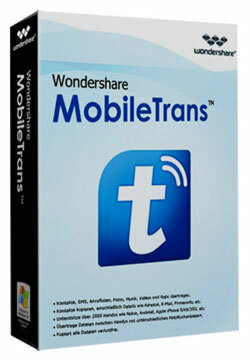 MobileTrans by Wondershare is a powerful data transfer program for moving data between iPhone and Android devices. 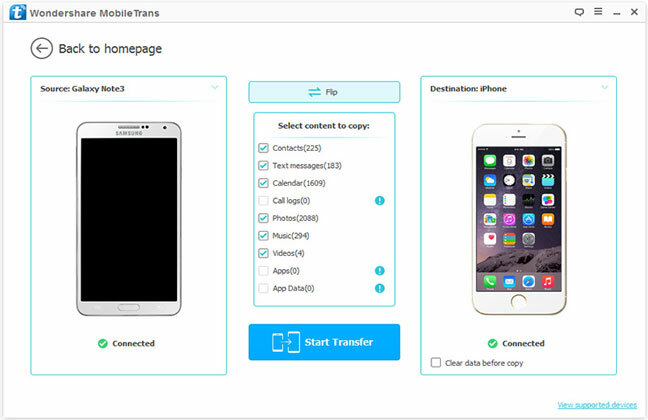 All sorts of data including contacts, music, images, videos, text messages, call logs, and more could be transferred between devices using MobileTrans. The software completely supports Mac OS X and Windows, so users could easily download and install the software where they want. Launch the MobileTrans program on the system: after it displays a window like below, the Android phone and iPhone should be connected to the computer through the USB port. On the screen, select the option “Phone to Phone Transfer”. Select the ‘from’ and ‘to’ devices: on the following window choose the source phone on the left and the destination phone on the right. To switch their places, the ‘Flip’ button could be used. Choose the data needed to be transferred: choose the data types such as contacts, text messages, calendar, etc. from the content list. After every item which is to be copied is selected, the ‘Start Transfer’ button should be clicked. A progress bar shows the percentage of data which have been moved. 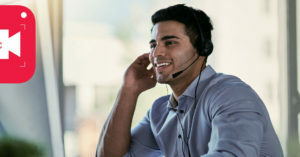 It is important to remind users that neither of the devices should be disconnected during the contacts transferring process. Note: users could also transfer contacts on Google, Facebook, Twitter and other supported accounts on the device using the Wondershare MobileTrans. To do that, they should log into their accounts on their phones. 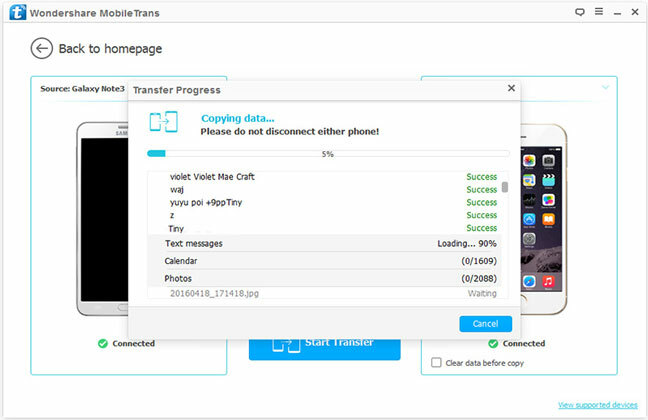 Here we want to show how to transfer data from Android to iPhone (or vice versa). Android contacts could easily be transferred to iPhone via a simple method: first save them on the SD card and then sync to the iPhone after uploading contacts to iCloud, Google, Yahoo or other accounts. For instance, take a look at the following picture and steps to see how to do this process using Google account. Step 1 – Choose ‘import/export’ from the contacts app on the Android phone. Step 2 – Now the ‘Export to USB storage’ should be clicked. Then open the phone SD card through a USB cable connecting the phone to the computer. vCard file could now be copied to the system. Step 3 – follow this path on the Gmail page: Contacts > More > Import. The vCard file saved previously should be selected here. Step 4 – Now it’s time to sync contacts to the iPhone. 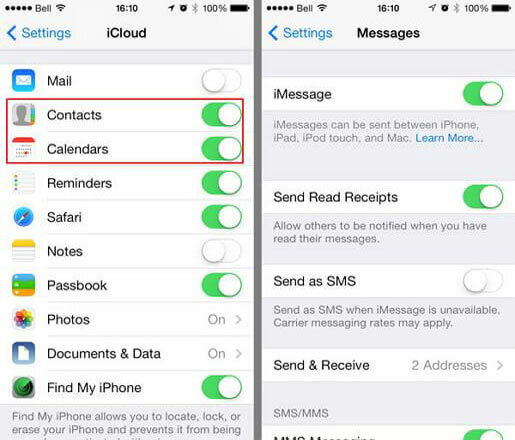 To do this, choose ‘Mail, Contacts, Calendars’ from the iPhone ‘Settings’. Next select ‘Google’ after tapping on ‘Add Account’. To finish the setup just sign in to the Gmail account and then click ‘Next’. The contacts sync will happen after ‘Contacts’ is turned on. Save all the desired files from the Android device on the computer after connecting it to the system. Now run the iTunes and connect the iPhone to the computer. Then, choose the ‘Add Folder to Library’ after clicking on ‘File’ from iTunes. Click on ‘Select Folder’ in the window after finding where the video and music files have been saved. To access the iPhone control panel the ‘iPhone’ should be clicked. It’s located under ‘DEVICES’ on the iTunes window’s left. Now select the category which should be synced and then click ‘Sync Movies’ or ‘Sync Music’ (for images it is ‘Sync Photos from’ and then pictures folder should be found). At the end, the ‘Apply’ should be clicked. The below steps will describe the iPhone contacts transfer to the Android phones. Step 1 – Choose ‘iCloud’ from the iPhone ‘Settings’. 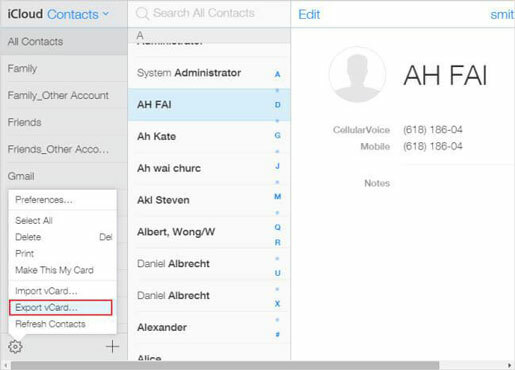 Step 2 – For iCloud/iPhone contacts sync turn on ‘Contacts’ after logging in to the iCloud account. Step 3 – To save iCloud contacts as a vCard follow this: open iCloud in the browser > Contacts > Show Actions Menu > Export vCard. Step 4 – Copy the saved vCard in the previous step to the SD card of Android phone. Step 5 – Follow these actions on the Android phone: Open ‘Contacts app, then click on ‘Import from USB storage’ after selecting ‘Import/Export’ from the menu. Now select the vCard file from SD card so that the phone imports its contacts. These steps could help users copy media files from their iPhone to Android phones and tablets. Connect both Android phone and iPhone to the computer. To copy photos from iPhone to Android just open ‘Internal Storage > DCIM’ from the iPhone folder. Then copy needed images and photos from there to the Android phone’s SD card. After launching iTunes, select ‘Transfer Purchased’ from the pull-down menu when right-clicking on iPhone. Now the wanted video and music files could be found on the computer on ‘iTunes Media’ folder. 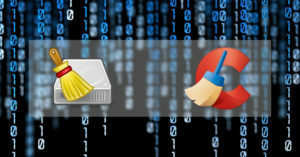 From there, needed items could be copied to the SD card of Android phone.